Dublin is the capital city of Ireland. It's also a popular tourist destination for its interesting culture, active nightlife, and friendly people. 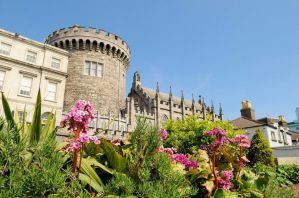 The city serves as the typical entry point into the country, so you're likely to spend at least a few days here, either at the beginning or end of your trip to Ireland. 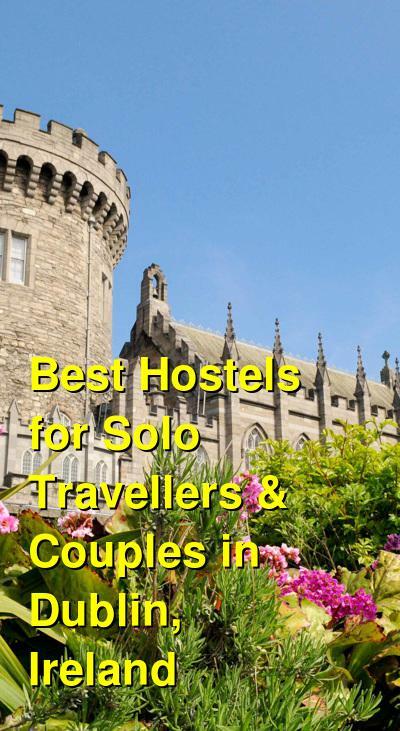 There are many great hostels in Dublin that you can choose from. Most are reasonably priced, centrally located, and have a good atmosphere. Consider what you want in your visit before choosing the hostel that's right for you. How much do hostels in Dublin cost? Sky Backpackers is a favorite hostel for travelers to Dublin, Ireland. The hostel is both affordable and comfortable and it has a social environment where it's not hard to meet other backpackers. It's uniquely located in a former recording studio whose clients included U2, Van Morrison, Sinead O'Connor, Def Leppard, and more. It's a centrally located hostel very close to the River Liffy, the Ha'Penny Bridge, O'Connell Street, and a minute's walk to the Temple Bar area. The hostel has a relaxed setting with books and television available for guests. They regularly host movie nights or live music for guests as well. The staff is fun and friendly, and they can help you with any questions that you might have. There are daily activities that you can enjoy such as walking tours, pancake day, game nights, Sangria night, and more. If you're a musician, they'd love to have you perform for a discounted rate on your room. Private rooms are available that are twins, triples, quads, or six bed rooms. There are also four, six, eight, and ten bed dorms. A good hostel for solo travellers. Egali Hostel is housed in a refurbished Georgian building that has a lot of character. The hostel is conveniently located just off O'Connell Street. It's a short walk to the Temple Bar area and is near many of Dublin's best downtown attractions. It's also conveniently close to public transportation including the bus terminal and Connolly train station. The hostel has several great amenities. There's a free breakfast served every morning that includes toast, jams, butter, coffee, and milk. There is also free wi-fi throughout the facility. If you want a place to relax, there are three different common areas. There's a lounge with a sofa and wide screen tv, a dining area where you can enjoy a meal, and a nice outdoor area. This hostel has no private rooms but it has dorms that sleep six, eight, or even sixteen people. The large, sixteen bed dorm is the most affordable and social, but can also get quite loud. All dorms are co-ed. A good party hostel for solo travellers. Generator Hostel Dublin is part of a chain of hostels that is found throughout Europe. It's a popular place to stay in the city and it offers impressive facilities in a central location. The atmosphere is fun and the price is quite reasonable. It has the feel of a party hostel, and there always seems to be something going on. There are several great amenities available to guests including lockers, wi-fi, and luggage storage. There are regular free walking tours available as well. They also host nightly events, which give the hostel a party atmosphere. There are often drink promotions in the bar, karaoke, djs, pool competitions, and drinking games. There are also monthly themed parties. The staff are fun and friendly. They can offer recommendations for the best places to hang out or grab a bite to eat. The hostel is conveniently located near several top attractions including the Guinness Storehouse, the Dublin Castle, the Wax Museum Plus, and Jameson Distillery. The Temple Bar area is a ten minute walk away. The hostel has a range of private rooms available. There are single, twin, triple, quad, and six bed rooms to choose from. There are also dorms that sleep six or eight people. Isaacs Hostel is another favorite hostel in Dublin. It's one of the most popular hostels in the area and it won't be long before you make a few friends here. The hostel is conveniently located near Connolly Train Station and the main bus station. It's also just a short walk from O'Connell Street and the Temple Bar area. This hostel is known for it's atmosphere. It is recommended by many popular guidebooks and it holds true to its reputation. It's one of the original backpacker hostels in Dublin and it has truly become an institution. If you want to stay in a friendly environment where it's easy to meet other guests, then this is the place. They offer guests a free breakfast, free sauna, free use of the video games, and free walking tours. There is also live music regularly as well. There is plenty of common space available where you can relax, hang out with other guests, play games, or party. There are large dorms and private rooms available, so regardless of your budget and preference, you should find something that meets your needs.